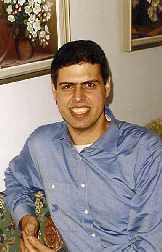 Rami Saari, poet, translator and linguist, was born in Petah Tikva in 1963. He studied Semitic and Finno-Uralic Linguistics at the Universities of Helsinki, Budapest and Jerusalem and received his PhD in Linguistics in 2003. Saari has written several books of poetry and has translated over 60 books from Albanian, Estonian, Finnish, Greek, Hungarian, Portuguese, Spanish and Catalan. 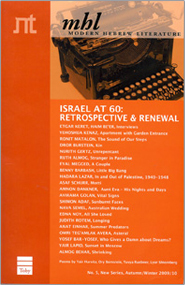 From 2002 to 2006, he was the national editor of the Israeli pages of the poetry website, poetryinternational.org. He has also been editor of the Scandinavian literature series Tzafon (North) for Hakibbutz Hameuchad publishing House. Saari has been awarded the Prime Minister's Prize for Literature twice (1996; 2003), the Olschwung Founation’s Award (1998), the Tchernikhovsky Prize for his translations (2006), the Israeli Ministry of Culture and Science Award (2007), the Finnish Ministry of Education and Culture Award for his translations from Finnish to Hebrew (2010) and the Asraf Prize from The Academy of the Hebrew Language (2010).